First off, I love Matthew Daddario, I thought that Kevin Z was Alec, but Matthew gives another meaning to bringing to life a character from a book, he studied Alec, you can tell by the way he acts (and if he didn’t then he wings it to perfection), and it is not just that he is a good enough actor, no, you actually believe Alec is there, just like Emeraude Toubia does Izzy, haven’t seen much of it, but the bits and parts of it, she gets the idea and she looks the part as well. Yes, we are first talking about the actors and actresses, don’t worry, I’ll get to the good stuff soon enough. 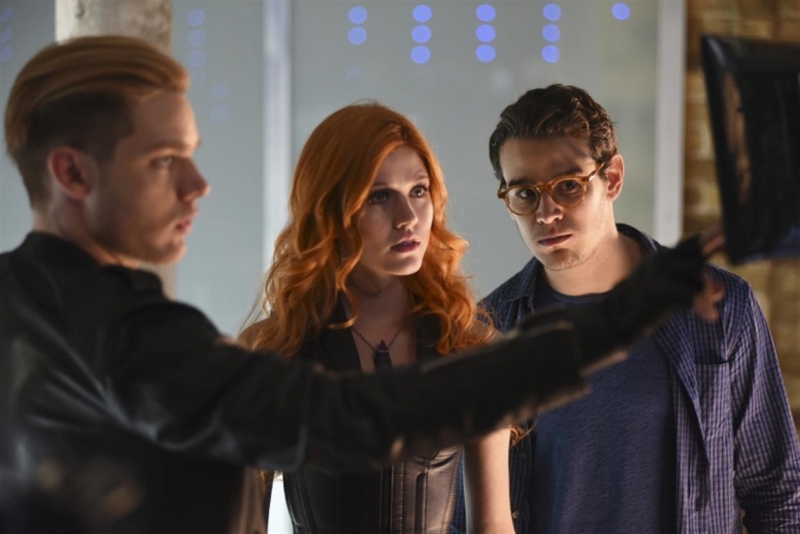 Carrying on with Alberto Rosende, so, he kind of is Simon but I personally am not a fan, yet. Wasn’t a fan of Simon in the books but hey, that is my personal prerogative. And maybe that is why I simply ignore Simon in the show because in the books that is what I did. Sorry, guys! Katherine, whoa! Katherine, Clary is one the female lead characters that I have mixed feelings about, at times I thought Clary Fairchild was annoying and at others thought she was totally normal and cool in some regards, I did not like some of her choices but we cannot agree with everything in life, right? So I think Kat is doing a good job, because you can actually say: Clary, shut up! And that is actually a nice thing to say. As for Dominic, aka Jace Wayland. This Jace made me laugh perhaps once with a Jace-joke and I’m hoping they will keep on coming, because it is what makes Jace, well Jace… fine, I confess the actor is not my fav, don’t shoot me or anything, he is just not my first choice for this character; although I could change my mind, and maybe in a couple of episodes I will be going out of my mind for him, it could happen. Harry Shum Jr. Do I have to say anything else than his name? Come on! 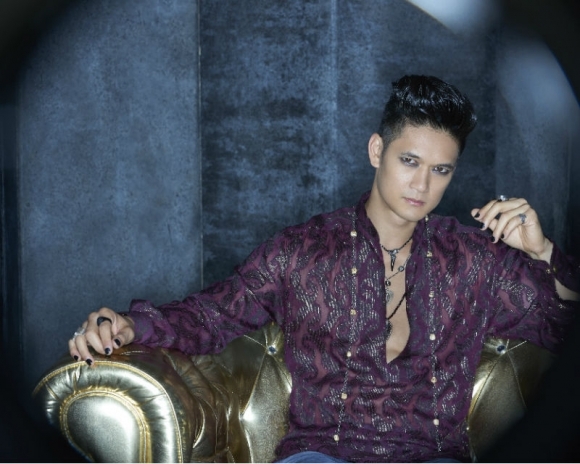 You can see Magnus Bane, it is there, and the makeup, the EYES!? By the Angel, I was almost screaming at the screen, so, yes, I loved him. Then I took a deep breath, let it wash over me… because I was missing the plot, and since in my head, I was: Where are they? What is that place? Say what? Carrying on, if we ignore those technological, strange things, then I can fairly say that the show does justice to the book, in most regards!!! And while I was watching, I said to my sister, ‘Is like the book’ … then Jocelyn said something strange, and it wasn’t so much as in the book; and then Izzy, Jace and Alec were locating a demon with some strange screen but no matter, the general splendor is what made me said ‘where’s the next episode?” Which I watched of course. There is not much I can say, that I already didn’t. Oh, yes, in this chapter we saw more of Magnus, and I was trying to find something about Harry that I didn’t like, but I could not find it. I realized how freaking tall Matthew Daddario is. I was excited about what happened at the end of the episode, and who was there, that was not on that movie they made and didn’t know how to made. As for Jace, he is a bit too much into Clary, don’t you think? He was not supposed to be all that much over her from the start, but hey! I’m nitpicking. Really I am, because I was aware as all fans should be, that it would not be the same as in the books, the characters are not quite the same physically, the main are, yes but the others not that much. Hodge? Luke? Dot???? So, yes, I let all of that pass over my head… water under the bridge, because the freaking show got my attention and I want more! And it all might have to do with a chapter that it is to come, titled with something that rhymes with Magnus.